Lead/acid batteries are by far the most prevalent form of stored power, even though battery technology is constantly developing newer formats and improving the current on the formats that are already on the market. The reason that lead/acid batteries still prevail are that the dollar per power ratio is very favorable. The energy density of lead/acid batteries is high and coupled with the well-established reclamation and recycling infrastructure that is already in place helps to keep the cost down. 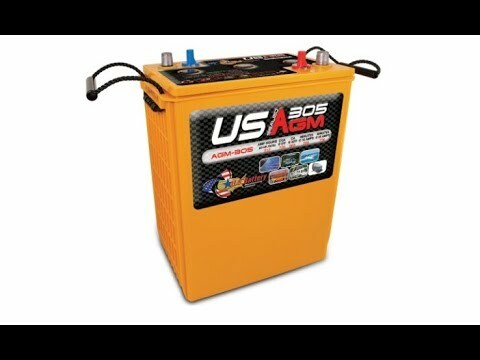 Lead/acid batteries include flooded, gel, and absorbed glass mat (AGM) format batteries. 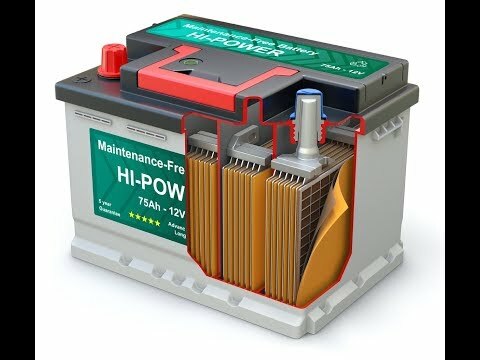 AGM format batteries have now been around long enough to have developed a reputation as being reliable and the care and maintenance regimes are now well understood to allow maximization of their life span. Conventional AGM format batteries can be cycled slightly more deeply than their flooded counterparts. They can accept charge and discharge at higher rates than their flooded counter parts. However, their useful lifespan can still be cut short by leaving them in a discharged condition for extended periods of time. 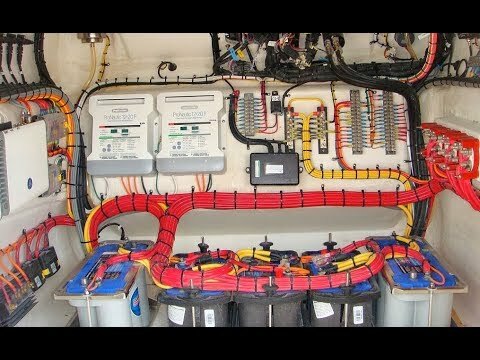 Batteries used for marine applications, especially those used for smaller boat applications and trailer-able boats like RV batteries, are often left for long periods of time without charger maintenance. As a result, their lifespan can be shortened by being left in a partial state or discharged state for extended periods of time. The reason for this form of battery degradation is due to the build-up of sulphate crystals on the lead plates. 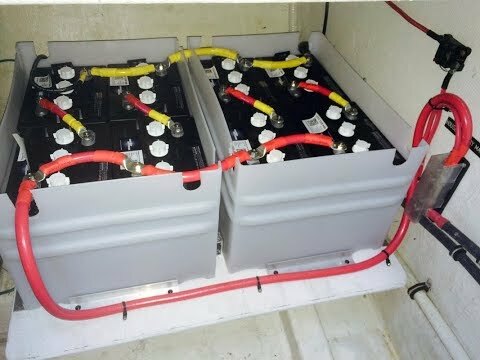 The deposit sulphates, or more correctly formation of lead sulphate on the lead and lead/oxide plates of a lead/acid battery is a normal part of the battery chemistry while the battery is discharging and producing power. While being charged, the chemical reaction runs in reverse and the sulphate will be dissolved back into the aqueous solution to once again form sulphuric acid. If the lead sulphate is left on the plates it will begin to crystalize. Those crystals are much more difficult to dislodge, dissolve, and once again be a useful part of the battery chemistry. In addition, the crystals are not great conductors of electricity and form a barrier to electron flow. As a result, the battery’s capacity and reactivity decreases, and degrades battery performance. This form of slow battery death is by far the most common form of battery demise. A research and development team at Caterpillar, a well-known industrial heavy equipment supplier and manufacturer were determined to overcome this form of battery capacity degradation. As it can be imagined they have a fair amount of equipment that might sit idle for extended periods of time, and then be expected to start up and perform reliably when called upon to do so. It would be expensive and inconvenient to have the equipment sit awaiting maintenance or a new battery on a frequent basis every time the equipment had some down time. The solution they came up with was to substitute some of the lead plates in the battery construction for carbon foam plates. The carbon foam plates did not contribute to the battery degradation caused by sulphate crystal build up like the lead plates did, and proved to have some additional advantages. This newer form of AGM, carbon foam AGM, is capable of deeper depth of discharge (DOD) than conventional lead/acid AGM. 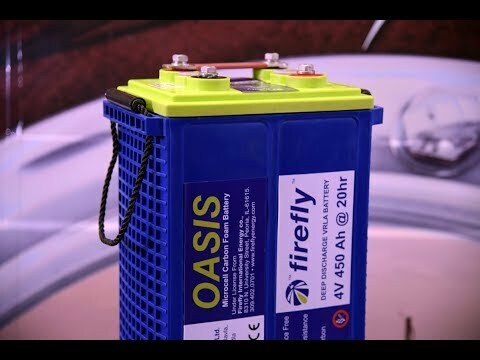 According to their testing data they can be discharged down to 90% of their capacity without damaging the battery or affecting the number of life cycles the battery will be capable of doing. This should be compared to the 50% recommended DOD for flooded lead/acid, or 65% DOD of conventional AGM batteries. This coupled with the increase in the number of life cycles that the battery is capable of makes the technology look to be very promising. The carbon foam AGM also have a higher charge acceptance rates than conventional AGM batteries making them ideal for deep cycling battery applications, as well as being suitable for starter applications. The financial out lay for this newer format AGM is somewhat higher than a conventional AGM. If you take into consideration the higher DOD and increase in number of cycles the dollar cost over the lifespan in terms of power per dollar, it makes them a financially viable contender. 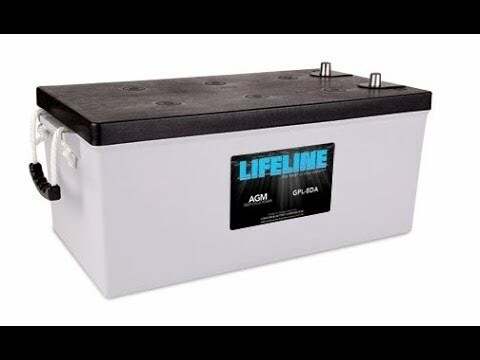 In addition the fact that the battery will not suffer a premature demise due to sulphate crystalline degradation is a reassuring benefit that may tip the scale in favor of this newer AGM technology. 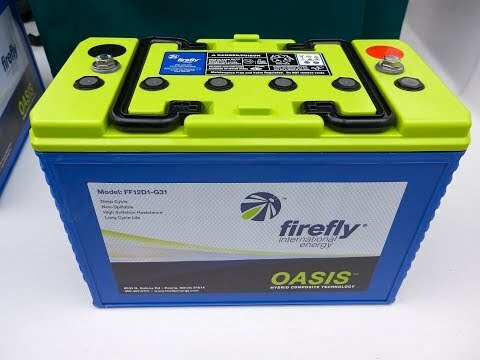 Carbon foam AGM batteries are being sold as Firefly Oasis batteries, and are commonly available in a group 31 format in two different, but similar capacity ratings. Bayliner 47 Pilot House - "Ava Grace"
"I would be remiss in not mentioning that last summer, as we…"